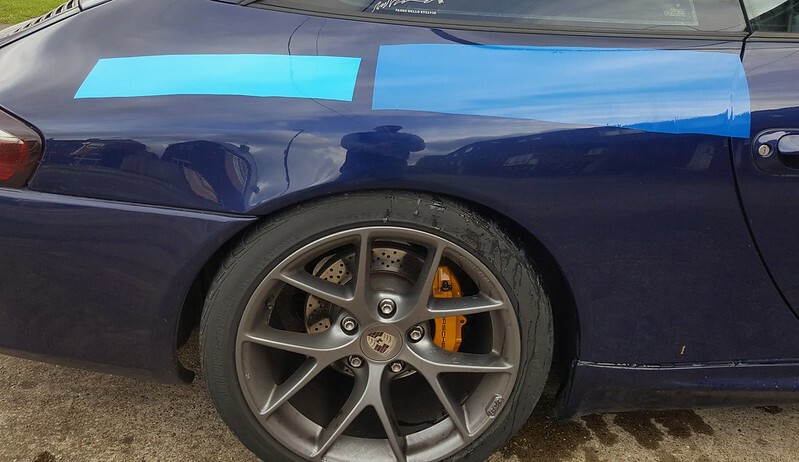 I'm currently offering up a couple of colour samples to my car with a view of wrapping it, the paint has had various Le Mans decals and plenty of stone chips to the point where the car does need a full respray as the lacquer is peeling in places. The only panels that would get away with a detail are the rear quarters. 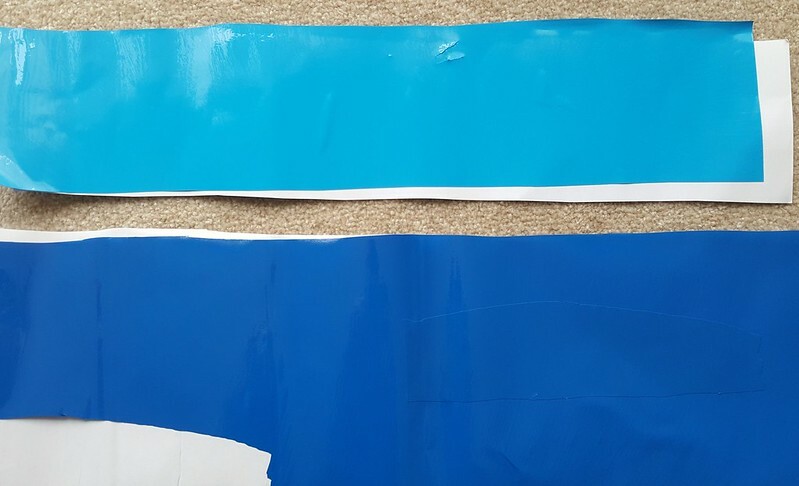 I have laid these two colours on the car to get an idea of what I want, The lighter colours is similar to Miami Blue (or Riviera but I think too green) and the darker shade close to Voodoo. As it's a wrap it won't have any fancy metallic to show it off like some blue paints do have and will just be a flat colour. I have also toyed with a Guards Red shade but I keep coming back to the Voodoo shade. Anyone wrapped theirs in a good colour that would be worth considering and pictures if you have, I'm interested in a full change of colour but also want to be able to live with the colour for a couple of years so nothing to OTT? I prefer the darker one and so does my OH. Am I right in assuming you have intentionally excluded any of the yellow options? I think any 911 will wear that colour well. The darker blue does seem to be getting the thumbs up from everyone I have asked so far. Yellow is a consideration and does really suit the 996 but the folk I usually drive with have got two Yellow cars in the ranks and it may be a bit overkill with three. I like Yellow, Red and the Blues as these all suit the 996 shape. I'm trying to steer away from Orange and Green as this may be too much for me at the moment. I'm going to be doing this myself as I have done a little wrapping and bodywork in my past. One reason I am looking to DIY is because I want to change the colour as and when I feel and if I can perfect it, it'll be an easy change when I get bored of a colour. I'm also looking at practicing on my 944 as this would look good in Orange I'm thinking. I'd give voodoo a , less understated than the Riv, and perhaps less obvious for a colour change. Looking forward to seeing whatever you decide. 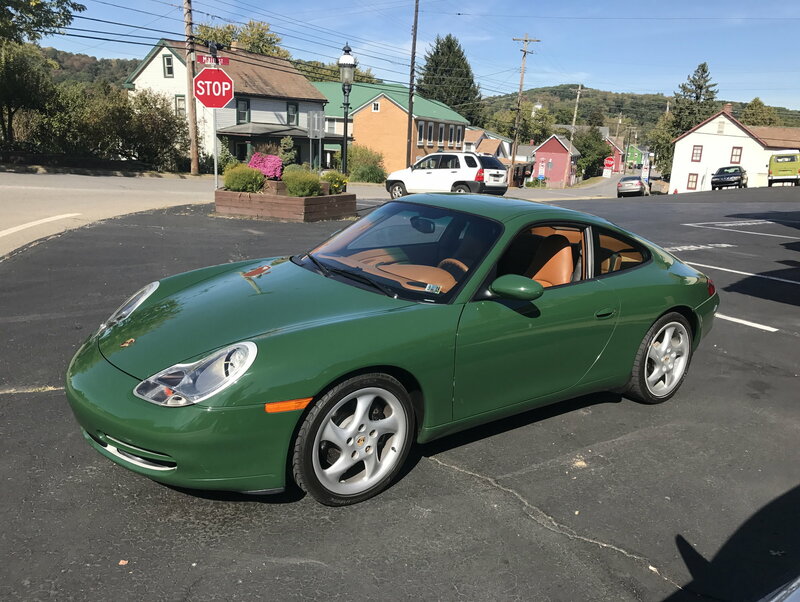 It is an ish and I have been comparing many, many Google images over the last few days, its the closest Porsche colour that matches this shade. Audi Nogaro blue is also similar and another colour I like. I prefer the darker blue, agreed it looks quite Nogaro blue (like my old RS4). Though Guards red should obviously be a contender! Big fan of that Voodoo blue! Of the two, do do the voodoo. I'm actually contemplating this as well, my rear arches need done and basically both sides so thought of getting arches done then wrap instead. Again something same as you that's OE ish but a subtly different. 3M Gloss intense blue looks good. It’s a bit less green than the Miami and close to Maritime blue. The 3M gloss makes it look slightly metallic which is unusual. Was the front of your two tone blue earlier this year Miami ? darker one for me out of them 2 shades. im going to be doing the same, i have a blue 997 & poss getting a wrap in ........blue! sounds crazy but method in the madness, i think. going from cobalt blue to gulf racing wrap. The front of mine was more green than Miami, almost a Turquoise, and was spray coating rather than a wrap, I wish I had wrapped it now though as this is one of the coatings that has added to the downfall of my paint. I tried to get a sample of the Intense Blue but they didn't have stock, Maritime is nice too but maybe a little too purple. I may go for Guards after this wrap, yes it does look great and amazingly very rare on a 996.